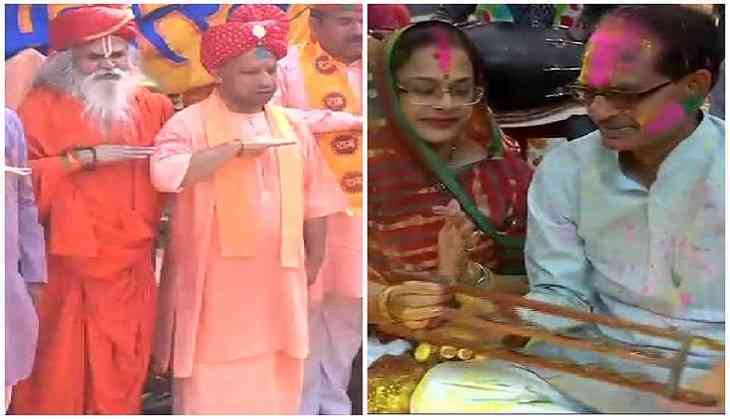 Uttar Pradesh Chief Minister Yogi Adityanath on Friday celebrated the festival of Holi in Uttar Pradesh's Gorakhpur. On a similar note, Madhya Pradesh Chief Minister Shivraj Singh Chouhan also celebrated the festival along with his wife in Bhopal. He was seen playing an instrument and enjoying the festival of colour.